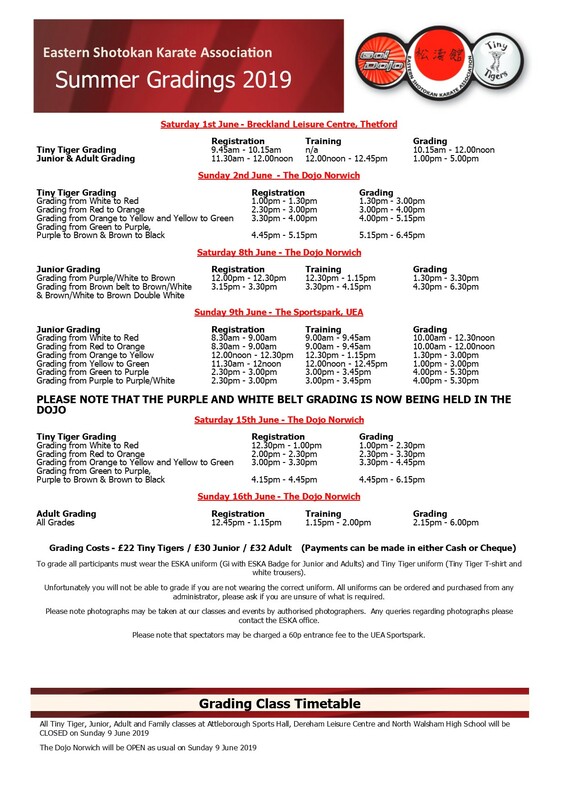 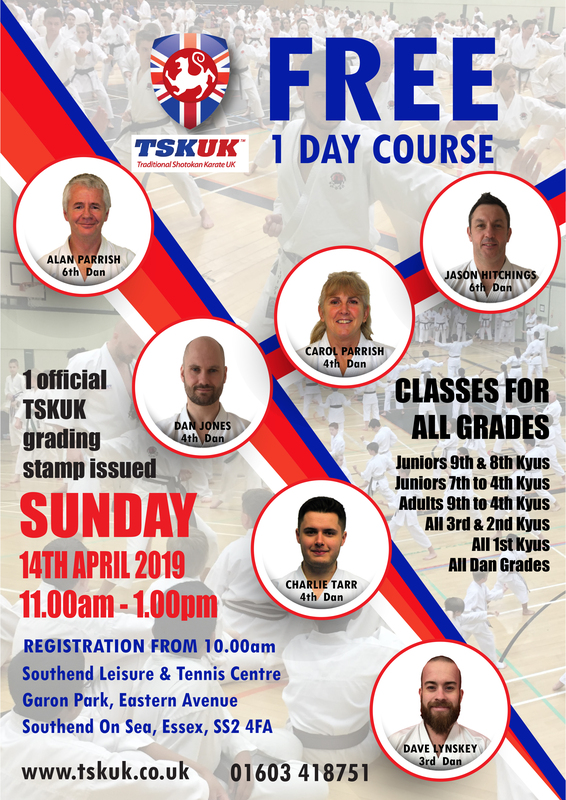 On Sunday 14th April 2019, ESKA members attended the TSKUK Course and Black Belt Grading at the Southend Leisure and Tennis Centre. 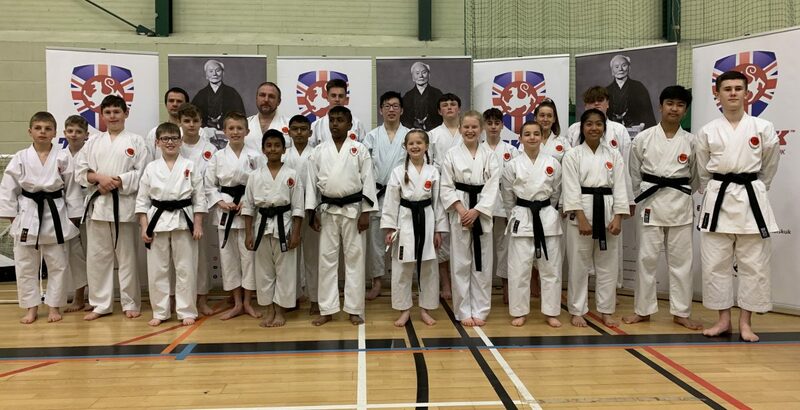 Following a compulsory two hour training course the grading took place in front of a panel including Sensei Alan Parrish 6th Dan, Sensei Jason Hitchings 6th Dan, Sensei Nathan Bond 5th Dan and Sensei Carol Parrish 4th Dan. 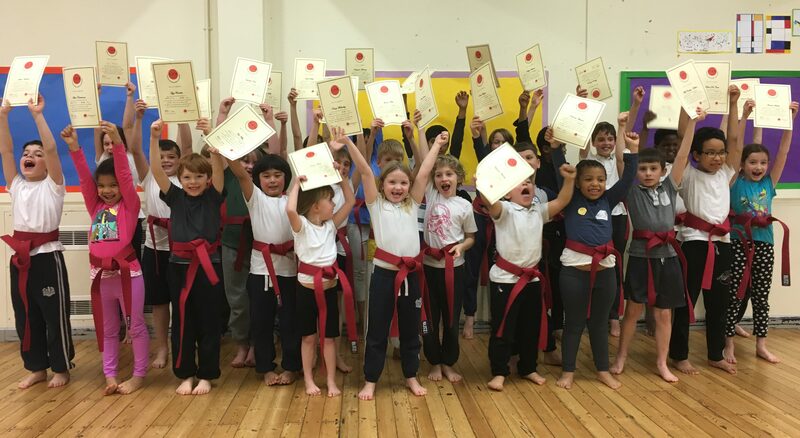 Years of dedicated training and commitment resulted in a very successful grading with 19 students achieving their 1st Dan Black Belt and 4 students achieving their 2nd Dan Black Belt. 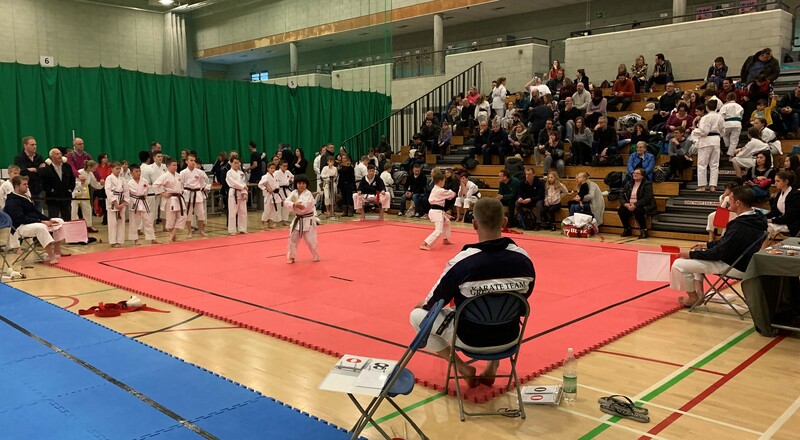 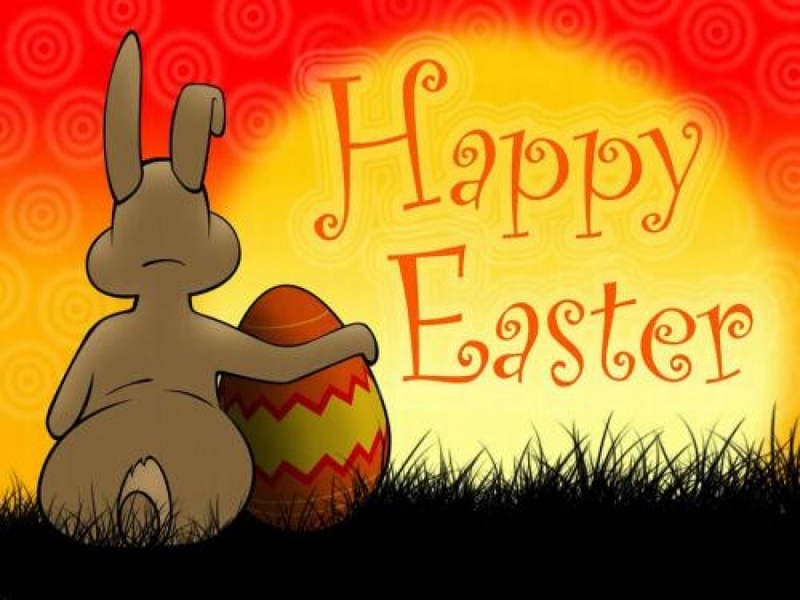 Natalie Butler, Ben Clark, Nathan Dulce, Sam Elliott, Amber Erum, Liam Foulger, Mark Gibson, Alfie Hannent, Isobel Hutchin, Jaye Kirkham, Marcin Kurek, Freddie Lambert, Francesca Monk, Dishanth Muruganantham, Maadhesh Shanthakumar, Jerris Sritharan, Emile Verschoor, Adrian Wise and Simon Wood. 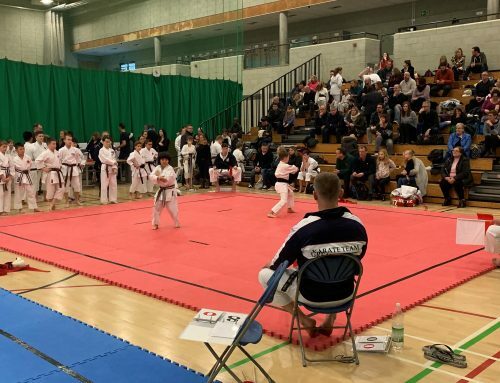 Jack Hassall, Benjamin Impey, Luca Occhionero and Chris Zhao.